This course focuses on DS2, a fourth-generation SAS-proprietary language providing modern programming techniques and structures for parallel processing and preparing large data for analysis. A brief introduction to Hadoop, including a comparison to traditional relational databases, is included. If you are a programmer/data scientist who wants training and hands-on experience manipulating Hadoop data using powerful SAS algorithms, this class is for you. This course can help prepare you for the following certification exam(s): SAS Big Data Programming and Loading. execute DS2 code in the SAS High-Performance Analytics grid using the HPDS2 procedure. This course was written with the seasoned SAS programmer in mind. 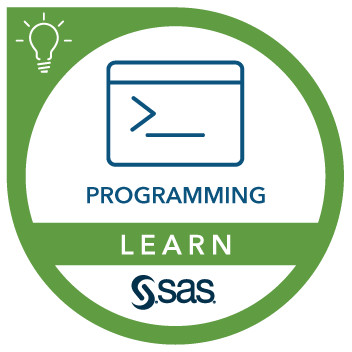 If you have completed both the SAS® Programming 2: Data Manipulation Techniques course and the SAS® SQL 1: Essentials course or have a solid SAS DATA step programming background and know how to write SQL joins, you should be quite comfortable in this class.